Each year we select some of the finest DJ’s on the Soul Scene to come and entertain you for the week. Throughout the week you will hear a wide range of excellent music inc. 70s – 80s Soul, Funk, Rare Groove, 90s R&B & Club Classics, Soulful House , Jazz, Boogie & Neo. Each DJ has their own unique style and all together as a collective they are sure to bring you the ultimate in musical pleasure. 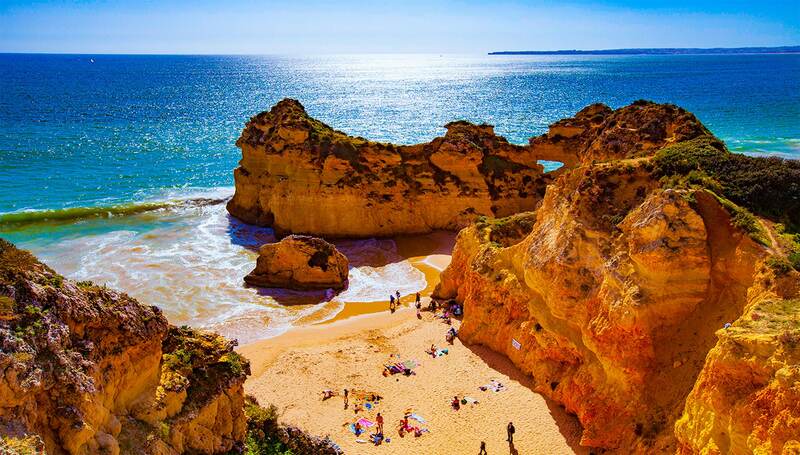 This much talked about, award winning Portugal Soul Weekender & Soul Music Holiday is one that you simply MUST TRY! Its the original Portugal Soul weekender, and has been running for 15 years so you know you can trust us! 80% of our customers rebook for the following year before flying home, which is a testament in itself. It’s a fantastic week, on a beautiful resort, surrounded by likeminded people. You will be entertained by 14 of the best Soul DJs in the UK, with a backdrop of golden cliffs, aqua waters and white sandy beaches. We host events all week (every day & night) with the highlights being our very own SITA Carnival to participate in, and a Soul ‘til Sunrise beach party. This much talked about, award winning Soul Music Holiday is one that you simply MUST TRY! Many thanks for a fab , fun holiday . Also a big thank you for your friendly lovely team who were a credit to you and your organisation. Me and my friends had such s great time we have booked to come back next May 2019. So xcited for that. Keep up the great work and just another mention that the music was outstanding so were the djs!!!!! Am looking at the photos that you are putting on fbk and can’t wait to see more. Thank u so much lots of love xxxx. Firstly I want to thank you so much for such a brilliant holiday. Myself and Heather had an absolutely amazing time thanks to you and your team. You certainly over succeeded our expectations, hats well and truly off to all concerned. Your organisation, preparation and delivery was second to none. Josh and I just wanted to say a big "Thank you" for yet another great week at Sita 2018. All your hard work and dedication shines through, it just goes to show how much hard work and preparation you put in. It has been a pleasure to have been part of such an amazing week for the past 11 years. My first time at SITA and had the best time ever, met loads of nice people like one big family, put down deposit for next year while out there as I know that's not one to miss. So thanks to Vivy an all staff for making it brilliant holiday xxxx. The Carnival was the best!! Hi Vivy, the biggest thanks truly has to go to you and your team. This was my first ever trip to with you to Soul on the Algarve and I have to say I truly enjoyed every single minute. That goes for the hotel, venues, music, entertainment, vibe and being surrounded by lovely, happy, bubbly, friendly likeminded people whose only agenda was to have a fun-filled weekend/week. Vivy.....That said....Congratulations to a job well done!!!! Morning Vivy, I just wanted to say yet again we had brilliant time and thoroughly enjoyed Soul in the Algarve 2018 it was epic 👏🏾👏🏾🥂 to you and your crews for a phenomenal week.Thank you for organising such an awesome event.